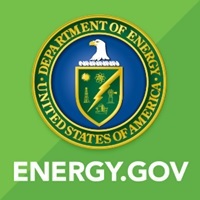 Washington, D.C. – (RealEstateRama) — The U.S. Department of Energy (DOE) announced selections for up to $53 million in new projects to advance early-stage solar technologies. Through the Office of Energy Efficiency and Renewable Energy Solar Energy Technologies Office, DOE will fund 53 innovative research projects that will lower solar electricity costs and support a growing solar workforce. Photovoltaics Research and Development: $27.7 million for 31 projects that will support early-stage research to advance new PV materials, like perovskites, which can essentially be painted on a surface to generate electricity. More innovation is needed to achieve high efficiency and stable performance over a long-time. Concentrating Solar Power Research and Development: $12.4 million for 15 research projects that will advance the high-temperature components of CSP systems such as heat exchangers. These projects will develop materials and designs for collectors, power cycles, and thermal transport systems that can withstand temperatures greater than 700 °C while being corrosion-resistant. Next-generation CSP systems operating at higher temperatures will be able to store more heat and dispatch solar electricity at any time, day or night. Improving and Expanding the Solar Industry through Workforce Initiatives: $12.7 million for 7 projects that will pursue initiatives to grow and train the solar workforce. These projects will support training and curriculum development at community colleges and advanced training for a more digital electric power system, which includes communications technology. This includes programs to prepare veterans and interested transitioning military personnel to join the solar workforce, building on DOE’s pilot program, Solar Ready Vets. See the full list of projects on the website HERE. Award amounts are subject to final negotiation.